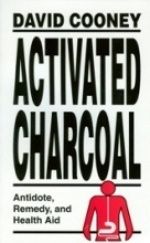 A layman's introduction to the effectiveness of activated charcoal as used in medical applications. 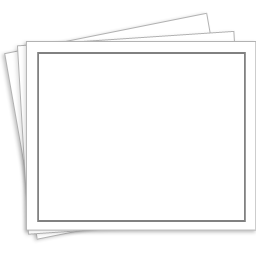 This publication represents an attempt to gather together most of what has been reported to date on the use of activated charcoal as an oral antidote and as a remedy for other ailments. Written by reknown medical physician, John Harvey Kellogg, the art of massage is a delicate skill easily learned with this illustrated book. Massage is probably one of the oldest of all modalities employed for the relief of bodily infirmities. 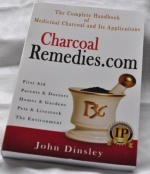 History, science, and practical applications of medicinal charcoal in hospitals and homes, for people and for pets. When and how to give activated charcoal internally, and when and how to apply it externally for a broad range of health conditions. Dr. Abbott was a professor of Clinical Medicine in the College of Medical Evangelists (now known as Loma Linda University Hospital) located in Loma Linda, California. 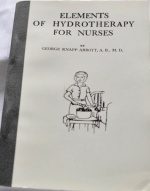 When this book was first printed in 1912, Dr. Abbott, wrote, "The urgent need of a nurses' textbook on hydrotherapy has induced the author to attempt and meet this need. The principles and curative effects are discussed in such simplified language as to be readily comprehended by the average nurse." The directions are simple enough for anyone to follow in their own home. 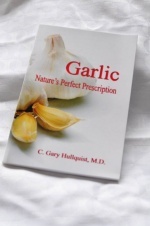 Garlic, the Lily of Legend, has today become the focus of modern medical research. Recognized for thousands of years for its amazing curative powers, this bulb is today not only known for its potent bouquet but is drawing the attention of the scientific world as a potential antibiotic, anticancer, antioxidant, anti-aging, anti-inflammatory ... the list goes on and on. With all of the myriad of books on alternative healing and herbology that are on the market today, why would anyone want to write one more? As a Christian I believe that God created the universe, our world, and the plants for our use. Robert McClintock, ND. 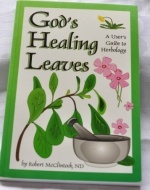 With so many books written from a New Age or spiritualistic perspective, here is a users guide to herbology from a Christian perspective. 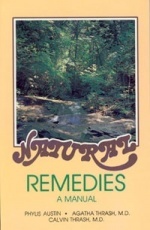 In a number of books and in manuscripts and letters, Mrs. White set forth principles of healthful living that have stood the test of time and scientific research and urged the value of natures remedies: sunlight, fresh air, healthful food, pure water, exercise, temperance, rest, and trust in divine care. 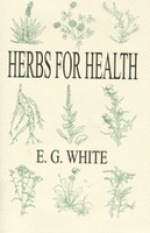 Statements regarding herbs, found in Mrs. Whites writings, say, there are simple herbs that can be used for the recovery of the sick;that there are certain, herbs that grow for the benefit of man; that there are herbs that are harmless, the use of which will tide over many apparently serious difficulties; and that leave no injurious effects in the system as do drugs. Emphasis is given to ascertaining and removing the cause of sickness, and the methods of treatment that are urged in the Testimonies are such as will give nature an opportunity to carry forward the healing processes. Why go to the medicine cabinet for every ailment? Hydrotherapy helps your body effectively overcome common diseases by using simple treatments that do not leave any chemicals behind. Steam baths, compresses, massage, hot & cold treatments, poultices, and fomentations are all part of the natural healing power of hydrotherapy. 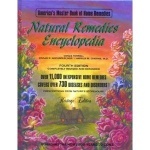 Natural Remedies is full of interesting, useful, and often hard-to-find information on preventing and treating various common complaints. The simple, nontechnical explanations and common-sense advice make it an instructive and highly useful book, attractive to a wide audience. 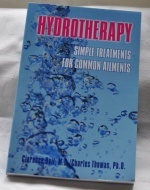 The authors stress health maintenance and disease prevention, seeking to educate the reader in the basics of a healthy lifestyle, and the extensive references to medical literature add validity to their research. The simple self-care techniques encourage responsibility for ones own health  responsibility that should not be delegated to others.